After designing and printing a miniature model of a gaming PC, Paul Klinger wasn’t content to just hold it in the palm of his hand. Instead, he embedded an ATtiny1614 in this little device — aptly dubbed “TinyPC” — along with an external monitor and joystick to play snake. The PC case features a clear window printed with clear PLA, and polished until nearly transparent. This puts the new internal circuitry on display, including a WS2812B RGB LED and fiber optic cable that glows different colors to indicate how long your in-game snake has gotten. The itty-bitty computer even sports a rectangular hole for programming, where Klinger can attach a spring-loaded pogo pin jig to reprogram it without taking everything apart. 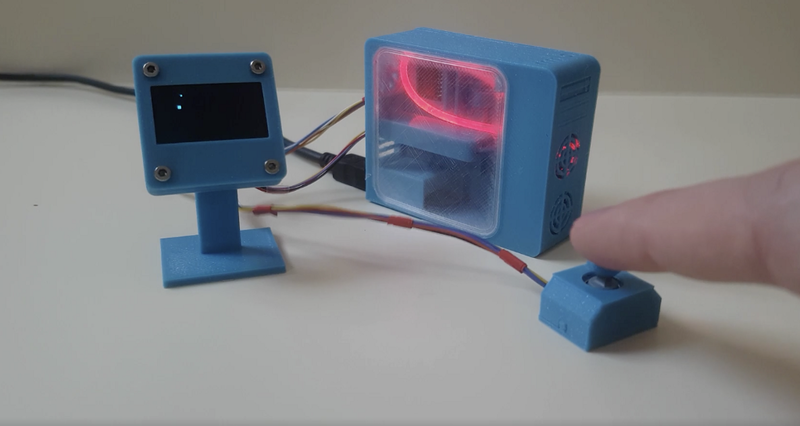 TinyPC’s monitor is constructed using a 128×64 OLED display, and the joystick — which isn’t much bigger than his fingertip — was made using a five-way switch. Both are linked to the computer case with a bundle of wires, and feature bodies printed in a similar manner to the main unit. Everything can be seen in the video below, while models, code, and parts needed for the build are available on GitHub if you’d like to construct your own! 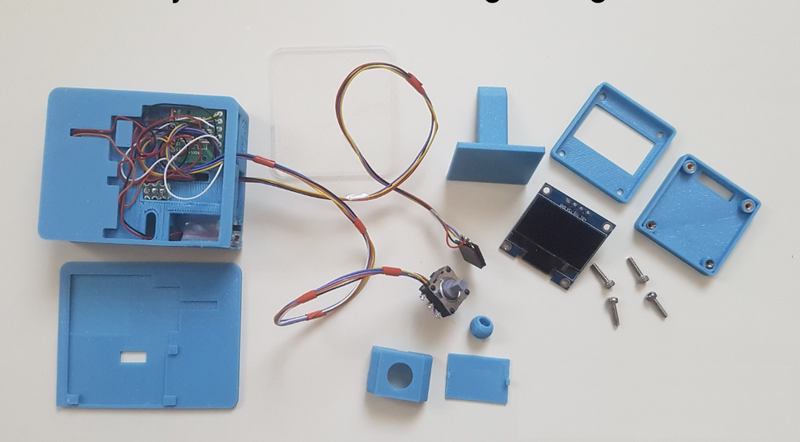 TinyPC Is a Minuscule OLED Gaming Rig for Playing Snake was originally published in Hackster Blog on Medium, where people are continuing the conversation by highlighting and responding to this story.